If you don't know where you are, where you've been and where you want to go on the internet you will often end up spinning your wheels without much knowledge of what kind of progress you are making. If any. Being able to track and record unique visitors, hits, the time spent on a website, where visitors are from, how they are getting to your website, what search terms they used and so forth is extremely useful to finding out more about your target audience. Lets say for example you are trying to sell real estate in Paris Ontario (not to be confused with Paris France). The last thing you need is visitors from France going to your website when what you want is people from Ontario, preferably people looking to buy a home in that particular region. 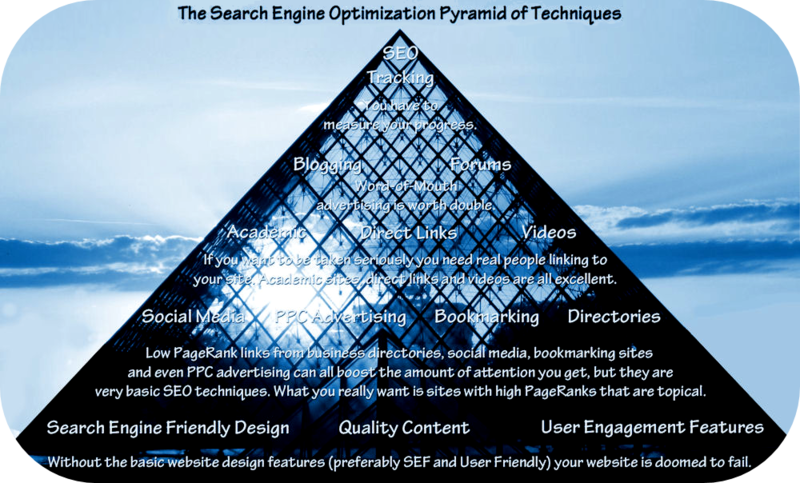 For more on how to get your target audience see our section on Search Engine Optimization. Similarily, lets say you have a clothing website. You want people to be browsing your products for long periods of time before making a decision. Knowing how long potential customers stay on your website is useful knowledge. Alexa.com - A website which measures popularity. Google Analytics - An easy to use dumbed-down way to visually see how well your website is doing. Server Side Statistical Tracking - Detailed stats on your website, right down to every last detail. Note: Not all website servers have this. Using these tools and other tricks of the trade we can check how well your website is doing and assess areas for improvement. If you'd like a report on how well you are doing and advice on how to improve your website's popularity / focus in on your target audience then please contact us. We will create a customized report on your website and what needs to be fixed. Prices vary so please request a quote.